A new high-tech design facility named after Lululemon founder Chip Wilson is ready to welcome students at Kwantlen Polytechnic University’s (KPU) Richmond campus, the BC government announced today. The Wilson School of Design will add 140 full-time seats for a total of 681 spaces for students. New facilities will include innovative teaching studios and labs, a testing centre, gallery space, and expanded study and design spaces. 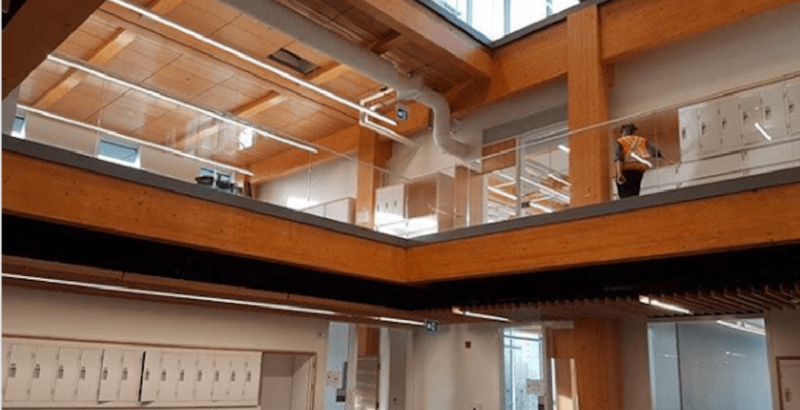 It will also house advanced technology, such as laser cutters, 3D printers, and ultrasonic welders, said BC’s Minister of Advanced Education, Skills and Training, Melanie Mark. The $36-million building will provide a space for a range of existing design programs at KPU, such as the bachelor of design in fashion and technology, bachelor of interior design, and continuing and professional education. It will also house KPU’s product design and technical apparel design programs, which educate students in the development of performance, technical, medical, and protective apparel and gear. Wilson’s wife Shannon, echoed her husband’s words. The $36-million Wilson School of Design building was funded through a $12-million contribution from the BC government, $12 million from KPU and $12 million in donations that include $8 million from the Wilsons. “The KPU community is very appreciative of the support we have received from the Wilsons and the Province and their recognition of our history of excellence in design education,” said Alan Davis, KPU president and vice-chancellor.